Yesterday, the Center for Disease Control did an early release of its most recent study on opiate abuse. The results of this study are extremely worrying and indicate a dramatic rise in illegal opiate abuse that overshadows trends in all other forms of drug abuse. In 2002, approximately 1.6 Americans per 1,000 (.16%) were addicted to some form of illegal opiate, while, in 2013, approximately 2.6 Americans per 1,000 (.26%) were addicted to opiates—this represents a 62.5% increase in opiate abuse in just over a decade. Overshadowing even this significant rise in opiate addiction, overdose deaths have increased by approximately 387% from 2002 to 2013. From 2002 to 2006, overdose deaths remained fairly steady at .7 deaths per 100,000 Americans (total, not addicts). By 2011, this overdose rate doubled to 1.4 deaths per 100,000, and by 2013 it had nearly doubled again to 2.7 overdoses per 100,000. This near-exponential increase in overdoses is truly worrying and signals that something has quantitatively shifted in the addicted population. Some experts argue that this shift has been caused by the fact that opiate addicts are increasingly younger, less experienced in drug use, and more likely to do their drugs alone (without others to revive them or call EMS if they start to overdose). While it is undeniable that the sudden increase in opiate abuse is worrying from a public health perspective and indicates a serious need for reform, I suspect that the recent pushes to classify this pattern as an epidemic rather than a crime wave comes from a far less noble position. The ‘traditional” picture of a junkie in the common American psyche is somebody in the lower class, usually urban, and almost always black (unless the drug is meth, in which case the stereotype is a rural white guy missing most of his teeth). This is the image that has been portrayed in the media for decades (ex. the “gangsta culture” derided by Fox News), reinforcing its prevalence in our culture. The current rise in opiate use defies this stereotype, as the fastest-growing demographic of abusers is young white people, particularly in rural and suburban areas. Many of these kids are from reasonably well off families (middle or upper-middle class) and large percentages start their addiction with pain pills (which tend to carry fewer stigmas than smoked, snorted or injected drugs). Put simply, large percentages of white America have biases (overt or subconscious) that make them willing to accept the idea that black addicts are just criminals who need punishment, but unwilling to say the same when addiction hits their cultural enclaves. They see young white addicts from families that look like theirs and feel empathy that leads them to think of this as a medical epidemic that must be treated rather than punished. This assertion is not simple speculation and psychobabble—it is backed up when you look at the differential treatment between the current increase in opiates and the crack epidemic of the late-20th century. In the 1980s, when crack cocaine began to flood the neighborhoods of the urban poor, particularly within the African American community, the response was a mixture of “tough on crime legislation” and media fearmongering. 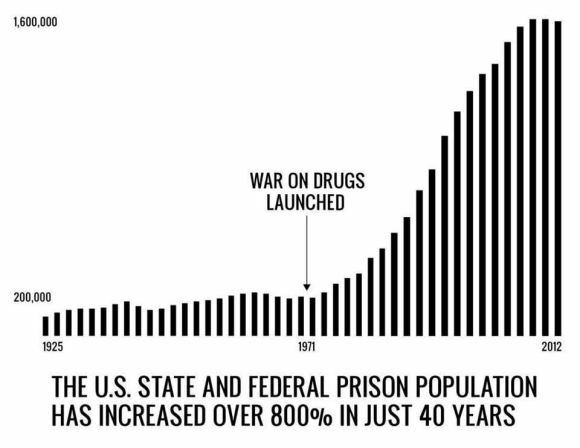 Mandatory minimums were set for even minor crack offenses (often up to 18 times harsher than analogous powder cocaine offenses) and police began cracking down on entire neighborhoods. Nobody in the establishment talked about the issue as a health problem that must be dealt with medically, rather, they treated is as a serious crime wave that must be dealt with through corrections. Those in power decided to just crush anybody suspected of crack use with the legal system in a hard-line “war on drugs” that criminalized millions of addicts. Ironically, some of these very same individuals were almost certainly helped perpetuate this epidemic through the Iran-Contra programs in the CIA (the CIA helped South American drug traffickers move their products in an effort to support their fight against the left-wing governments aligned with the Soviet Union—look up the story of “Freeway” Rick Ross for more info on this). While I applaud the efforts at combating drug abuse without criminalizing addicts, we must do this for ALL addicts and addictions, not just ones that involve privileged white Americans. It is simple immoral for us to treat one group of addicts as poor, sick people in need of treatment while simultaneously deriding another group of addicts as just irresponsible criminals who should face draconian jail time, then handed fraying bootstraps in lieu of treatment opportunities. There are several ways of dealing with this opiate epidemic, all of which require significant investment by government agencies and buy-in from the public. First and foremost, we must stop the trend in overdoses by increasing the availability of opiate antagonists (ex. Naloxone)—this is simply triage, as we must protect the lives of these addicts if we want to give them any hope of treatment. Opiate antagonists block opiates in the brain and immediately stop even fatal overdoses, forcing the addict’s body into a state of withdrawal. It is extremely unpleasant for the addict, but saves their lives and gives emergency responders time to take the person to the hospital in case they suffer additional consequences from the overdose (ex. hypoxia). Many states still prevent individuals from possessing or administering opiate antagonists, which puts addicts at risk. The politicians justify this risk by saying that easy access to antagonists would make people more likely to abuse opiates because it reduces the dangers from overdose, but the evidence simply doesn’t back this up (addicts focus on getting the next fix, not the risk of overdose, dangers from unclean needles, or possibility of getting arrested—this is what makes them addicts). The laws that restrict access to opiate antagonists must be repealed and all forms of insurance should be mandated to cover these life-saving drugs (similar to how they now require birth control and several other types of medication). This would increase access to these drugs and reduce overdoses. Second, after stabilizing the addicted population by reducing the frequency of overdoses, we need to shift our response to drugs from a law-enforcement paradigm to a public health paradigm. Instead of arresting non-violent drug offenders and attaching the stigma of jail to them, we must dramatically increase the number of treatment beds available and shift these addicts into supervised detox. These addicts must be given treatment rather than simply being warehoused with a bunch of violent criminals. This will take a lot of money and likely federal intervention/funding. State budgets simply don’t have the capacity to take these steps and many state politicians are still stuck in the “tough on crime” mindset. Third, we must crack down on prescription opiate providers in order to reduce the gateway drugs (ex. 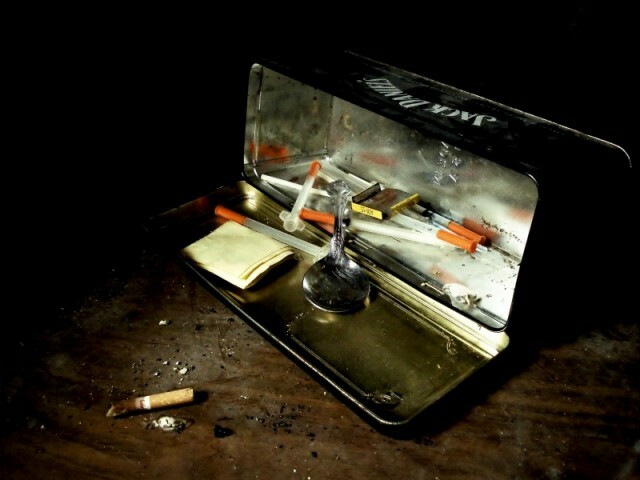 Oxycodone) that lead to heroin abuse. Large percentages of new addicts started with prescription drugs and only shift to heroin once they were cut off from their supply of pills or lacked the funds to afford their high. 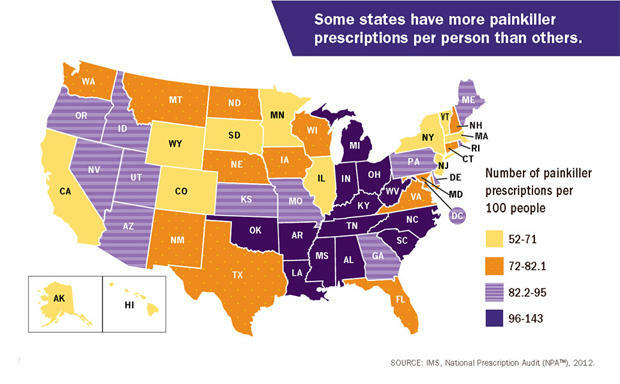 While most states have prescription diversion tracking programs, several do not and have acted as the source of huge percentages of illegal opiate pills. Forcing states to establish these databases or mandating that all doctors be connected to the system have shown to be very effective in reducing opiate abuse. Additionally there are dramatic disparities in the prescription of narcotic painkillers based upon region, which tends to indicate that doctors in certain regions are FAR too ready to prescribe narcotics. Medical associations and doctor’s groups should coordinate in these states to identify the causes of this disparity and methods of reducing it in the future. Finally, we must attack the root causes of addiction, including mental illness, PTSD from military service, multi-generational connection to drug culture (ex. children who grew up in homes with addict parents and who started drugs early), and a lack of hope/opportunity. If we can reduce these underlying factors with targeted investments in helping at-risk communities and providing options to those who otherwise would have no hope of escaping their circumstances, we can reduce drug abuse at its roots. Reblogged this on e-Roll Call Magazine.